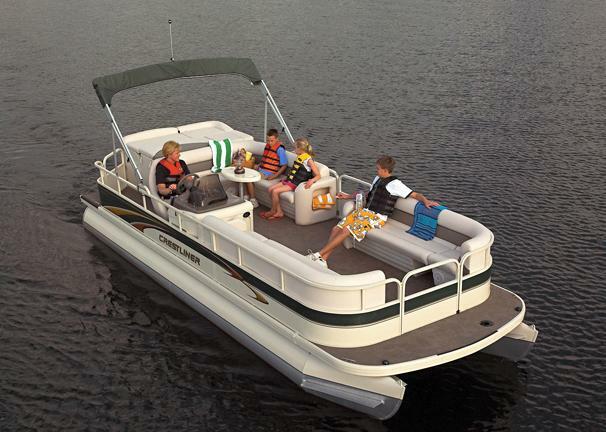 Boat Description The Crestliner Sport LX 2485 features a padded sundeck, top-of-the-line L-lounge seating, and a deluxe captain`s bucket chair with a fully adjustable slider. This cruising model also has two forward lounge seats. The Sport LX delivers luxury performance at a great price.